« Platinum SEO 1.3.2. What is new? February 15, 2010 WordPress.org announced WordPress 2.9.2 release. 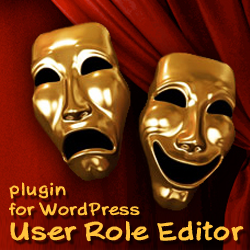 WordPress development blog says about fixing the “…problem where logged in users can peek at trashed posts belonging to other authors. 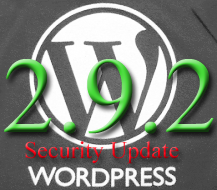 If you have untrusted users signed up on your blog and sensitive posts in the trash, you should upgrade to 2.9.2“. Upgrade procedure is simple as usual. You can use the upgrade link at the top of admin dashboard page to upgrade WordPress version automatically. Other way is to change all WordPress files manually. There are no any changes in the database structure comparing with 2.9.1 version, just a few changes in the PHP source code. Check the details below. So, to make the manual update and do not touch accidentally some WordPress files changed by you earlier, you can change just 10 files listed above. Let’s look inside of updated files and see what the changes WordPress team made to enhance our loving blog platform. Just the version number was changed from 2.9.1 to 2.9.2 at lines 23, 26. Post status ‘future’ checking was added for comment_on_draft action. Additional checking was added for comment_on_password_protected action. Just the version number was changed from 2.9.1 to 2.9.2 at line 11. Checking for “trash” status was added here. Post edit permission is checked now for the posts in trash too. If you interested in more details for this fix, you can find a primary discussion on this issue at WordPress bug tracker. Slash was removed before single quote inside the string. Ticket for this issue at WordPress bug tracker can be found here. // Remove menus that have no accessible submenus and require privs that the user does not have. // Run re-parent loop again. // And user doesn't have privs, remove menu. Ticket for this issue at WordPress bug tracker can be found here. Invalid <br/> was changed to the necessary closing </td> tag. Just the version number was changed from 2.9.1 to 2.9.2 at line 226. That’s all changes for the 2.9.2 WordPress version. This entry was posted on Wednesday, February 17th, 2010 at 12:59	and is filed under Security, WordPress. You can follow any responses to this entry through the RSS 2.0 feed. You can skip to the end and leave a response. Pinging is currently not allowed.